Serena was pregnant in January's when she won yet another Grand Slam title. It's official, Tennis queen Serena Williams is pregnant and fans are going crazy about it! The 35-year-old star took to Snapchat on Wednesday and revealed that she is 20 weeks along. Serena's selfie featured her posing in a yellow one-piece swimsuit and the simple caption, "20 weeks". As to be expected, the internet was in a frenzy about the unexpected announcement. Most marvelled at the idea that the 23-time Grand Slam winner was pregnant in January's Australian Open, when she won yet another title. This will be her first child with fiancé and co-founder of Reddit, Alexis Ohanian. Serene and Alexis got engaged this past December in Italy. Serena and tech entrepreneur Alexis announced their engagement in the form of a poem in December 2016. Serena wrote: "I came home. A little late. Someone had a bag packed for me. And a carriage waited. Destination: Rome..."
She went on to reveal she and Alexis were first introduced in the romantic Italian city, and called Rome "the place where our stars first collided". The tennis star then described the moment Alexis popped the question to her, revealing the proposal took place at the venue where they first met. "At the same table we first met by chance, this time he made it not by chance, but by choice," she wrote. She ended the sweet poem by adding: "Down on one knee, he said 4 words... And I said yes." "Hopefully I'll be able to mature one of these days, get serious, and at least have them (kids) pretty fast." 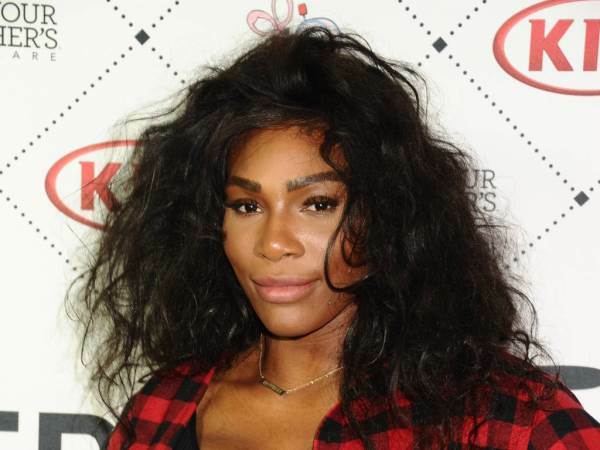 Ohanian is the latest in a long line of suitors for Serena - she has also dated filmmaker Brett Ratner, basketball player Amar'e Stoudemire, and rapper Common.